To celebrate, comfort, console or cheer… we’ll help you find the perfect arrangement for every occasion! BASLEY'S FLORIST is a premier, full service florist proudly serving the Jeffersonville, Georgia area with over 18 years experience. For your convenience, our phones are answered 24 hours/day and our store is open to serve your floral and gift needs: Monday - Friday 9:00 am to 5:00 pm and Saturday 9:00 am to 3:00 pm. We're available to make deliveries on Sunday by appointment only. We offer delivery service to local hospitals, nursing homes and funeral homes. All major credit cards are accepted. Wedding Flowers & Special Event Flowers ~ Your wedding is sure to be a "blooming" success when your flowers & accessories come from Basley's Florist! 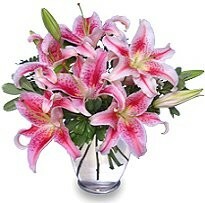 We design floral arrangements to reflect the occasion, as well as your individual style & budget. Remember, we're also your best source for catering, as well as a variety of wedding supplies and invitations, too. Assorted Plants & All Occasion Gift Ideas ~ In addition to flowers for any occasion, we also offer a variety of adorable plush animals, fun balloons, baby gifts, lots of knick knacks & collectibles, home decor and more! One of our specialties... our amazing Gift Basket Assortment in almost any style or theme imaginable. Ask about our delicious Gourmet Baskets and hard-to-resist Candy & Chocolates Basket... they're sure to please anytime of year! Sympathy Memorial & Funeral Flowers ~ You can depend on Basley's Florist to help you choose flowers or a live plant that beautifully conveys your expression of sympathy and serves as a lovely tribute to the memory of the deceased. Our shop specializes in memorable and unique funeral flowers and memorial arrangements, including our special heart floral tributes. 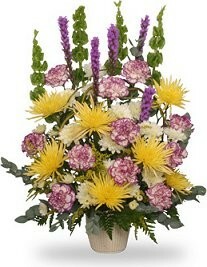 We have delivery service to the area funeral homes listed below. Thank you for visiting our website with convenient and secure online ordering available anytime, day or night!